Here is a nicely restored truck. Emblems removed. It is once again unanimous, this time for Duplex. 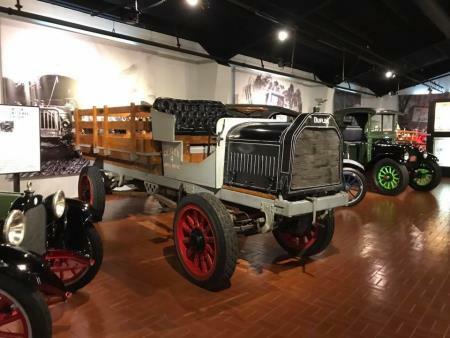 This circa 1918 Duplex 4x4 truck is at the Gilmore Museum in Hickory Corners, Michigan. Davwingman had this first. Our photo was posted to Facebook by Bill Moon.